FUNDRAISER: State Representative Elizabeth “Lisa” Hernandez [24th District] committee hosted a fundraising event at the Atlantic Mall in Little Village Tuesday, March 10, 2013. Over 150 supporters and State officials attended Hernandez’s event. SPECIAL GUEST was State Representative Edward “Eddie” J. Acevedo [2th District]. Acevedo is the Assistant Majority Leader in the House and Chairman of the State Legislator Hispanic Caucus. Acevedo was the sponsor of the Illinois bill which gives undocumented drivers a temporary license lasting three years. His leadership was instrumental in its passage. GUESTS enjoyed a tequila tasting bar and unique music by the Tarima Sun group. Catedral Restaurant provided food and refreshments. Rep. Hernandez thanked all of her friends and supporters. ON SAT., March 16, State Rep. Lisa Hernandez hosted a Diabetes Awareness Fair with more than 130 people attending this free event. Co-hosting the Diabetes Awareness event was State Rep. Michael Zalewski [21st District] and State Senator Steven Landek [12th District]. FRANKLIN PARK: Incumbent Mayor Barrett Pedersen and his slate has received the endorsement of several Unions. Prior to becoming an attorney Pedersen was a member of the Painter’s and Teamsters Union. He supports his union brothers by carrying the Allied Union Label on both his business and annual Christmas cards. PEDERSEN’s father was a 37 year member of the International Brotherhood of Electrical Workers, Local 134. THE HISPANIC AMERICAN LABOR COUNCIL has unanimously endorsed Barrett Pedersen for Mayor, Tommy Thomson for Clerk, John Johnson, Andy Ybarra and Karen Special for Trustee. The Village of Franklin Park has a population of 18,415 with a Latino population of 44%. The Election is April 9, 2013. TABARES OPEN HOUSE: Last Saturday, March 23, 2013, State Representative Silvana Tabares [21st District] opened her district office in the Little Village [22nd Ward] community. Tabares’ office was packed with constituents. Rep. Tabares greeted all her visitors and guests mingling and shaking hands with everyone. “I look forward to giving service to everyone in my district,” said Tabares. COMMITTEES: State Rep. Tabares serves on the Appropriations-Higher Education; Higher Education; Insurance; Small Business Empowerment & Workforce and Housing committees. OFFICE HOURS: Monday, Wednesday, Thursday and Friday from 9 a.m. to 5 p.m. Tuesdays from 9 a.m. to 7 p.m. Office manager is Manuel Carerra and Alaina Hampton, staff. LATINA CANDIDATE: Marybelle Mandel [nee Sanchez] is the first Latina trustee candidate to run for public office in the North Riverside suburb. “The Republicans in North Riverside have been doing everything in their power to knock me off the ballot,” said Mandel. Mandel’s party is called the “Transparency & Accountability in Politics” party. MANDEL is a graduate from St. Mary’s Elementary and Riverside Brookfield High Schools. NORTH RIVERSIDE has a population of 6,700 residents, 15% Hispanic and 64% are Democrats. The “Transparency & Accountability In Politics” party is endorsed by the Hispanic American Labor Council. The Election is April 9, 2013. HAIRCUTS & MANICURES: More than 110 residents of Little Village received free haircuts and manicures Saturday, March 23, 2013 at the Little Village Community Council. Students from the American Career Institute of Berwyn did an outstanding job providing the free service. “The event was a success,” said Pat Caraballo, President of the ACI institute. STUDENTS from Jesuit Cristo Rey High School in Pilsen assisted ACI students by cleaning around their work stations. LV PRINCIPALS: Five Little Village principals had an informal meeting with Jesse H. Ruiz, Vice-President with the Chicago Board of Education Friday, March 15, 2013 at the Little Village Community Council. The five principals were Jorge Ruiz, Eli Whitney Elementary School; Alberto Juarez, Gary Elementary School; Brian Rogers, Little Village High School World Language; Jose Luis Illanes, Madero Middle Elementary and Tonya Hammaker, Farragut Career Academy. VP RUIZ thanked the principals for their attendance and opened his remarks by telling them about his upbringing. “My father was an illegal immigrant and a bracero [Spanish meaning ‘manual labor’]”, said Ruiz. His mother was an “A” student in the State of Guanajuato, Mexico. He also mentioned Barack Obama was one of his professors in Collage as he struggled for an education to become a lawyer. His current position of serving on the Chicago Public School Board is a non-salaried position. JESSE said, “Chicago Public Schools [CPS] has a lot of challenges. The biggest challenge for the Board will be choosing those Chicago schools which must close in the near future. “ONE SCHOOL has 60 students but was built for 500. Entire floors are empty,” said Ruiz. In the past 10 years Chicago public schools lost 30,000 kids Ruiz said. Many Chicago schools are underutilized and need to be closed. Some of the buildings are over 100 years old. “It would cost CPS millions of dollars to maintain them,” said Ruiz. Another challenge CPS has is solving the pension problem. EACH principal had an opportunity to tell Ruiz about their school and its needs. The principals told Ruiz how each of them spend ten or more hours a day doing their work as the principal. Their work is especially difficult when grading a teacher’s performances. “Evaluating a teacher’s performance is very time consuming,” said Hammaker. THROUGHOUT the three hour meeting, Ruiz listened intently, took notes and said he would follow-up with their needs at CPS meetings and with staff. A NOTE OF INTEREST: Ruiz stated emphatically, ‘when the casino comes to Chicago, the revenue will be for education’! A NATIONAL HERO: Cesar E. Chavez’s birthday is March 31st. 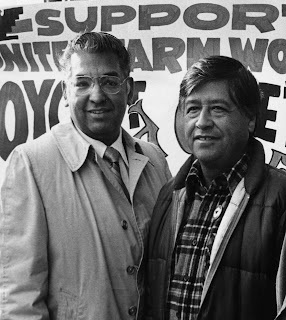 Chavez [1927-1993], a union organizer, struggled his entire life to organize the farm workers into the United Farm Workers Union. I met and walked with Cesar Chavez during the grape and lettuce boycotts in Chicago. CHAVEZ, a tireless labor leader, lived a simple and humble lifestyle. He was a soft spoken man who wanted to improve the working conditions of all farm workers who are the most exploited workers in America. CHAVEZ’s dedication as a Union leader and as a religious person helped his cause of “Si se Puede” [Spanish for “Yes, it can be done”], the motto of the United Farm Workers. Chavez fasted to stop violence on the picket lines by his members. Chavez followed the example of Mahatma Gandhi of non-violence. THERE WAS an assembly by the students at Farragut Career Academy on Wednesday, March 20, 2013 to honor the life and legacy of Cesar E. Chavez. AS A FORMER elected Union organizer for 10 years with the Chicago Typographical Union I know how difficult it is to organize workers. Chavez is my hero because he was a great organizer and I continue to admire him for his work as a union leader. Viva Cesar Chavez! 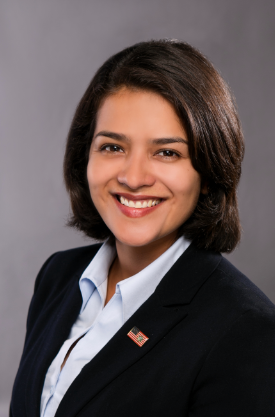 OPEN HOUSE: State Representative Silvana Tabares [21st District] is inviting residents of the 21st District to stop by her new constituent service office this Saturday, March 23, 2013 at 2458 S. Millard Ave., Unit 2A, Chicago from 10 a.m. to 12 Noon. THERE WILL be an opportunity for local residents to speak with Rep. Tabares about any concerns or needs in the community and learn more about the services provided through her office. OFFICE HOURS: Monday, Wednesday, Thursday and Friday from 9 a.m. to 5 p.m. Tuesdays from 9 a.m. to 7 p.m. Office manager is Manuel Carerra. MOVIE REVIEW: The movie “Emperor” is not about Gen. Douglas MacArthur, but a love story about an American General Bonner Fellers and a Japanese girl. Fellers as a young man in college falls in love with a Japanese exchange student. She returns to Japan during WWII. General Fellers looks for her in Japan after the atomic bombing of Japan. Gen. MacArthur [Tommy Lee Jones] was filler in the story line. I give it one star. 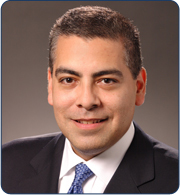 PRINCIPAL MEETING: Jesse H. Ruiz, Vice-President, Chicago Board of Education will be meeting with Little Village elementary and high school principals this Friday, March 15, 2013 from 9 a.m. to Noon. Hosting the meeting is the Little Village Community Council located at 3610 W. 26th St.
JESSE WAS appointed Vice President of the Chicago Board of Education by Chicago Mayor Rahm Emanuel in May 2011. Chicago Public Schools is currently the third largest school district in the nation with over 400,000 students and a budget exceeding $5 billion. RUIZ IS an attorney and partner with the law firm of Drinker Biddle. Jesse is the legal counsel to the fourteen Illinois senators and representatives who formed the Illinois Legislative Latino Caucus and the Illinois Legislative Latino Caucus Foundation. 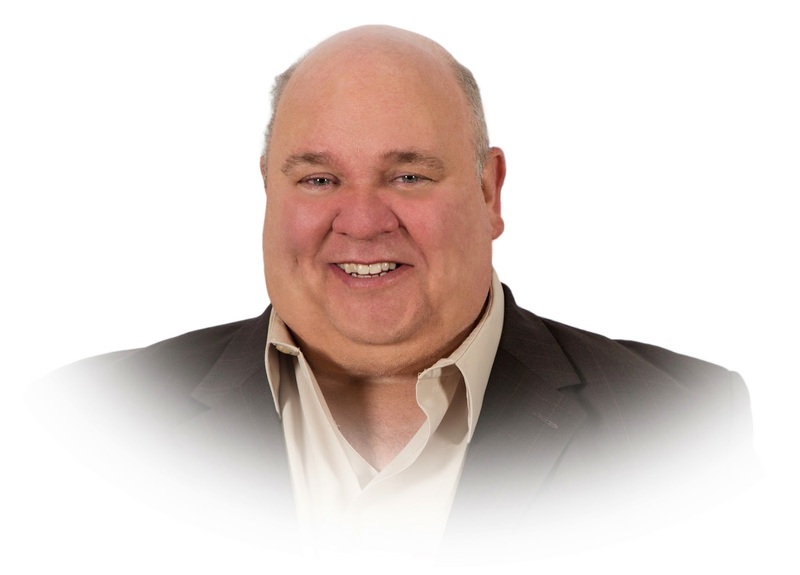 In 2003, and again in 2009, Jesse received the Foundation’s Leadership Award for providing legal counsel to both the Foundation and the Caucus, and assisting in the formation of both organizations. For more info call 312/286-3405. Left to right: A hair stylist shows State Rep.
FREE HAIRCUTS and manicures will be given to Little Village residents on Saturday, March 23, 2013 from 10 a.m. to 3 p.m. at the Little Village Community Council, 3610 W. 26th St. Students from the America’s Career Institute, Inc., 7000 W. Cermak Road, Berwyn, IL will be providing the free service. AMERICA’s Career Institute, Inc. welcomes anyone interested in becoming a cosmetologist and/or nail technician. It is a cosmetologist school under the direction of Patricia Caraballo, president. FOR SEVERAL years, America’s Career Institute, Inc. has participated in many events. Students love to help community organizations and, at the same time, are given the opportunity to utilize their skills. The school is available for groups and individual customers who would like beauty services done by a student under the supervision of an instructor. THEIR PRICES are reasonable. 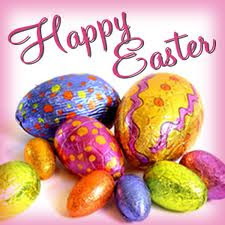 Haircuts $7, Shampoo only $4 & up, Re-touch $25 & up, Full color $35 & up, Color rinse $2 & up. Skin: Facial $9, Make-up $15 & up, Eye lashes $15. Nail: Manicure $6, Pedicure $15, Nail Wraps $15, Remove nail $8. ACI caterers to birthday parties, Quinceanera and bridal showers. Hours: Sunday and Monday – closed, Tuesday, Wednesday, Thursday and Friday – 10:30 a.m. to 6:30 p.m. and Saturday – 8:30 a.m. to 2:30 p.m. Call ACI at 708/795-1500. M.O.H. PEREZ JR.: For 11 years, Commander William Luna of the Dr. Hector P. Garcia AMVETS, Post 326 has coordinated the ceremony to celebrate the birthday of PFC Manuel Perez Jr. [1923-1945] a Medal of Honor [MOH] recipient from WWII. PEREZ JR. was killed in action in the Battle of Luzon, Philippines in 1945. The 11TH Airborne Division mission was to take Fort William McKinley in the Philippines. The fort was fortified with pillboxes with .50-caliber machine guns. Perez took upon himself to blast away with grenades and killed 18 Japanese soldiers before he was mortally wounded. His action enabled his unit to advance successfully. 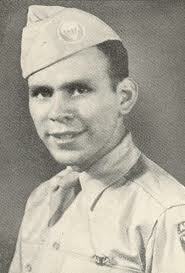 Perez Jr. posthumously received the Medal of Honor for his heroism. THIRTY-FIVE veterans and friends gathered at the Manuel Perez Jr. Memorial Plaza at 26th St. & Kolin Ave. on Saturday, March 2, 2013 in memory of a Mexican American war hero PFC Perez Jr. Farragut ROTC cadets posted colors and played music for the event under the director of Maj. Peter J. Ramirez, Commandant. H.O.P.E. MEETING: The Helping Other’s Progress Economically [HOPE] organization held a public meeting Thursday, March 7, 2013 at St. Agnes gym, 2651 S. Central Park Ave. HOPE is a non-profit organization under the leadership of Baltazar Enriquez. More than 150 people attended the meeting to learn how to protect their homes from foreclosures, court procedures and banks. SPEAKERS were: Eduardo E. Gesio, U.S. Dept. of House & Urban Development; Lisa T. Bennett, Community Relations, Office of Attorney General and Vanessa Zamora, Senior Housing Policy Advisor, Attorney General’s Office and Sergio Arlandis. FOR MORE info: Call HOPE at 773/522-2552.